Romans 8:35 – A Simple Choice? In this post, we are exploring this question… Who shall separate us from the love of Messiah? Romans 8:35 reads: Who shall separate us from the love of Messiah? Shall tribulation, or distress, or persecution, or famine, or nakedness, or danger, or sword? What is Paul really asking us? He tells us that tribulations, distress, persecution all the bad things that happen to us by the hands of another, do not separate us from God’s love. He adds to this list, nakedness, danger, or sword, these things represent the absence of necessary good in our everyday lives. None of these separate us. Paul goes on to tell us in verse 38 that not even death can separate us from the love of God. Then who separates us from the Love of God? If it isn’t the events or people and clearly Paul shows us God loves us, then we have to look at ourselves. What separates you and I (and the world) from the love of God is our denial of God and rejecting the gift of our Messiah. It is our choice to separate. If we choose by an act of our wills not to believe in God and receive by faith the gift of our savior, we separate ourselves from the love of God. So the choices we make can shuts down our ability to receive the fullness of God’s love which is ever around us like the air we breathe. As we go through life even after we have believed in our Messiah, we must choose to walk toward God by engaging with HIM, not turning or walking away from HIM in our daily lives. In making this simple choice we can receive the fullness of our Messiah’s love! Give to CJM, we have made a simple link allowing you to give your tax-deductible donation by credit card through PayPal. Today we are talking about temptation and Kingdom of Heaven through James 1:13 – 15. Temptation is all around us, I was tempted as I look at writing this post just to let it slide another week, as I had done for months, I didn’t so here we are looking tempation. Webster’s dictionary defines temptation: to entice to do wrong by promise of pleasure or gain. So temptation is an action taken to engage our will (our right to choose) to act in a self gratifying way resulting in wrong choices and short-term gain and for many long-term guilt and shame. If we look at my temptation not to write this post, the temptation was to spend time with my husband watching TV or choose to come into my cold office on Thanksgiving morning and press into God believing something of value would result. As I pondered my choice I realized not to go into my office would have put off the inevitable, sitting down and writing about temptation, something everyone knows about, but seldom talks about because it brings with it personal responsibility, and who wants that on Thanksgiving! Temptation is a natural part of being human as we exercise our right to choose. We are all going to make good choices and resisting temptation while on other days we will be overcome by temptation and make those dreaded bad choices we wish we hadn’t made. Praise God for Yeshua who made the choice to die, taking away the sins of the world! Join me next time as we delve into James 1:13, looking at this truth, God doesn’t tempt us. This blog is part of the ministry of Complete Joy Ministries and is published each Thursday, usually by noon Pacific Time. Repent for the Kingdom of Heaven is Near! We are in a new series about the Kingdom of Heaven. Today we are looking at how repentance is key to the kingdom of heaven coming near! Let’s set the stage, in the beginning of chapter 4 Yeshua had been tempted by Satan in the desert, then upon his return he learned of John the Baptist jailing. As a man, think of all the emotions he was feeling. He did the best thing, and stepped away. Yeshua could have chosen to be mad at man, mad at God or mad at Satan. He chose to do none of the above. Yeshua knew he had to stay focused. We forget that, choosing instead to walk into anger and away from the kingdom of Heaven, as we break relationship with our God. Remembering even righteous anger turns into sinful behavior. I say all this because in these days people (including those who are believers) are going to do things which you have the right to be angry about, because they wronged you, or hurt someone you care about. It is not if we will get angry, for even Yeshua revealed his anger toward the money changers in the temple. But when your anger turns into sinful behavior, repent and walk back into relationship with God for the Kingdom of Heaven is at hand! This blog is part of the ministry of Complete Joy Ministries and is published each Friday, usually by noon Pacific Time. This is the fifth post in our series How to MOVE in this new season. Today we are unpacking the E for Equipped in our acrostic MOVE. To be equipped is to be furnished with something, others would use the word provision. In 2 Timothy 3 we see God thoroughly equipping the servant of God with the gospel for every good work. In the Old Testament we see the people of God equipped for physical battle. In every case when the people of God are thoroughly equipped, they are fully prepared for the task at hand. In this season we need to be ready for God to furnish those things we need. Currently I have been asking for strategies in how to move forward for the Oregon Tabernacle Tent (OTT) as well as for Complete Joy Ministries. I was praying for God’s strategy for how to re-brand OTT since the vinyl lettering I had put on last year came coming off. In faith I removed the rest of the lettering and chose to wait for God to reveal what we should do. In the most unlikely place a man I knew gave me a name of a christian seamstress who can do the job and she is only about 3 miles from my office, so no need to take it down to Salem which is 50 miles away! Watching for how God will equip the work He has called you do is the final key to our movement in this and any season. When you are equipped to do the work of service movement will be easier and you will find the job goes much more smoothly than if you walk forward ahead of God without His equipping! Don’t worry or move into anxiousness as you wait to be equipped, because tomorrow God may equip you and call you to move! Want more teaching and encouragement, visit our blog pages: CJM; learn more about Complete Joy Ministries. We began this series with a prophetic word for 2016 God intends to work in and through each of us! We learned last time that as we do the hard thing, to wait, God shines through us. Today we look at the necessary preparation of Letting God Behind the Curtain. 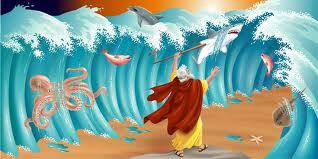 If you have been with the Lord for any period of time you might think, I have turned away from wickedness. I have accepted the Lord, I follow God’s commandments and years ago I broke strongholds and soul ties the enemy had in my life. God would say, “good for you, but do you want my plan and purpose for your life? Do you want my will?” To be an instrument for His special purpose made holy for this season you and I must allow God to go to behind the curtain to the deep dark reaches of our souls and root out everything. Personally I can become overwhelmed by God’s plans and purposes for my life and want to hide. When I become overwhelmed I look not to the Lord with confidence but to the tangible, the known, my childhood and say who am I that He would choose to use me because my own parents didn’t. As much as I have worked and wrestled I lack the ability to look to the Lord in critical situations with confidence so I must allow God to root out the last of this childhood pain and allow a deep trust and confidence in God’s choosing me to take up residence in that deep dark hiding place. Don’t be afraid to let God go behind the curtain of where you are hiding, which keeps you from becoming who God created you to be! As we continue talking about transitions we have to look at the truth transition in the life of Moses. Which ultimately led the nation of Israel into freedom. I wonder if the average Israelite remembered this promise of freedom as they walked through life during those four hundred years after Joseph died. Moses being an Egyptian may not have even known. When Moses encountered the truth of who he was, it changed him. His transition as with most transitions did not go well at first. Remember Adam and Eve, and Abram and Sarai, yet here there was not a woman but rather a captive nation in need of freedom. Moses was moved to action, killing one of Egyptians who was abusing his people causing him to flee to the land of Midian where he would grow and encounter God. What are the keys to any truth transition? The first is the revelation of a hidden truth. In this way, each of us will have a truth transition, whether it is because of something we have done which is suddenly exposed, or something in our childhood as in the life of Moses. The second key is a the decision made because of this new truth. For Moses, he chose to protect one of his people, causing him to flee to the desert of Midian where he came to terms with his ancestry, meeting God and walked fully into the plan and purpose of God to set his people free! Transitions of every kind are messy and unorganized but the results are simply amazing, just think of all the Israelites leaving with the many possessions of Egypt just as the Lord promised! Equip;find the complete material for a Journey to Maturity. Check out a copy of SOAP a bible study method you can copy and print out for personal use. Complete Joy Oils;find anointing oil on this new page and enjoy the story of it’s beginning! On the Radio; Millie and her friends can be heard on the radio, both in Portland and on the web, go to On the Radio for more information. This blog is part of the ministry of Complete Joy Ministries and is published each Tuesday and Saturday, usually by noon Pacific Time. Some transitions come as a result of choices we make. 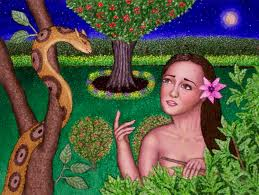 This cause and effect transition in the life of Adam and Eve is one such transition for it is the result of the choices they made in eating the apple from the tree of the knowledge of good and evil. Because Adam and Eve now understood the difference between right and wrong (the cause), the effect was banishment from the garden of Eden. Cause and effect transitions often comes with a drastic change as we see here. Suddenly Adam he had to work the ground to survive, and Eve learned the depth of the pain of childbirth we learn in future verses. Sometimes, we can feel we are the victim of cause and effect transition as Adam did, but here in the garden this was not the case for Adam listened and followed his wife willingly. With the cause and effect transition there is little outward preparation, while there maybe warnings a plenty, as in the garden, affording us time to decide if we will heed those God-given warning. This type of transition is common throughout our lives and we must not beat ourselves up when we or some we love make poor choices, rather we must confess, repent and then forgive ourselves and others so that God can use even this transition for His glory!